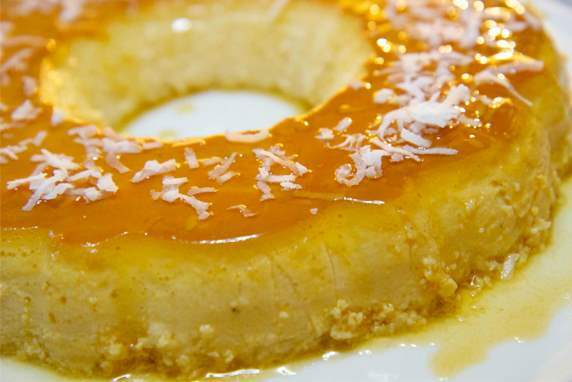 Coconut Leche-Flan – Axelum Resources Corp. In a mixing bowl, blend all ingredients well by mixing but do not beat. Strain the mixture through a fine meshed strainer and pour into the lined pan. Cover with aluminum foil. Stream until well done over slow-boiling water to get a fine-textured custard.